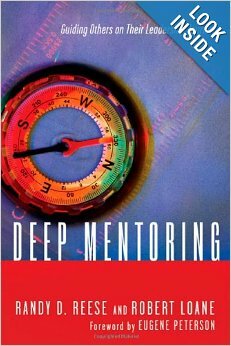 Deep Mentoring: Guiding Others on Their Leadership Journey, by Randy D. Reese and Robert Loane is a guidebook for Christian leaders on why and how we should mentor future leaders. Deep Mentoring is a deep book. It is not an easy read, but it is well worth reading. The book is scholarly, yet practical; academic, yet full of pithy quotes and illustrations. Reese and Sloane divide their work into three parts. Part One is entitled, “Noticing God’s Already-Present Action.” In this section, the authors show how we need to slow down enough to pay attention to people and their needs. Part Two is, “Learning from Those Who Have Come Before Us.” This section takes the reader through the stages of life. They give a powerful explanation of how important it is to know a person’s background to really understand him or her. Then they show how our roles change from young adults who are actors to middle adults who are actors who influence others, and how we should finish well as influencers. Part Three, “Guiding the Formation of Others,” shows the techniques that Jesus used to influence others, and then lays out a plan for the reader to do the same. Each chapter of the book includes specific exercises for the reader to apply to his or her mentoring relationship. Four appendices at the end of the book give practical tools that the reader can come back to and use again and again through the mentoring process. I bought this book because I have a desire to lead my church in greater discipleship of believers through mentoring. After reading the book, I have an even greater desire for mentoring, and many new tools for the journey. NOTE; If you see a video ad below this post, I do not necessarily endorse the product. 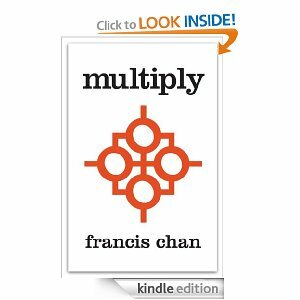 Francis Chan, author of the influential books Crazy Love and Erasing Hell, has written Multiply: Disciples Making Disciples for the purpose of multiplying disciples in the church. The book has some excellent material; however, I was disappointed in the book, because it was not what I expected. I downloaded the book and read it on my Kindle, deceived by the title into thinking it was about how to make disciples. While the introduction and first three chapters (about 40 pages) discuss how to use the book for discipleship, that’s about it. The rest of the book is an overview of the teachings of the Bible. Don’t misunderstand me. The overview of the Bible is excellent. It’s well-written, and has good support material with questions for discussion and videos available to watch online. If you are a mature Christian, you will find very little new information here, but it is a good, solid summary of what the Bible teaches. If a person goes through this material with a new believer, that person will be very well-founded in a biblical worldview. The bottom line: if you are looking for material for an in-depth teaching of the basics of Christianity for a small group or one-on-one, this is a great book. But if you are looking for a book on how to organize your church for the purpose of multiplying disciples, you will probably find more help elsewhere, such as Real-Life Discipleship by Jim Putman.